I love it when I discover new places to visit in my own city! Last month when I took myself out on a date to the Immigration Museum I made a stop along the way at The Ian Potter Centre: NGV (National Gallery of Victoria) Australia at Federation Square. I didn’t even know this amazing space existed and it’s right in the heart of Melbourne. 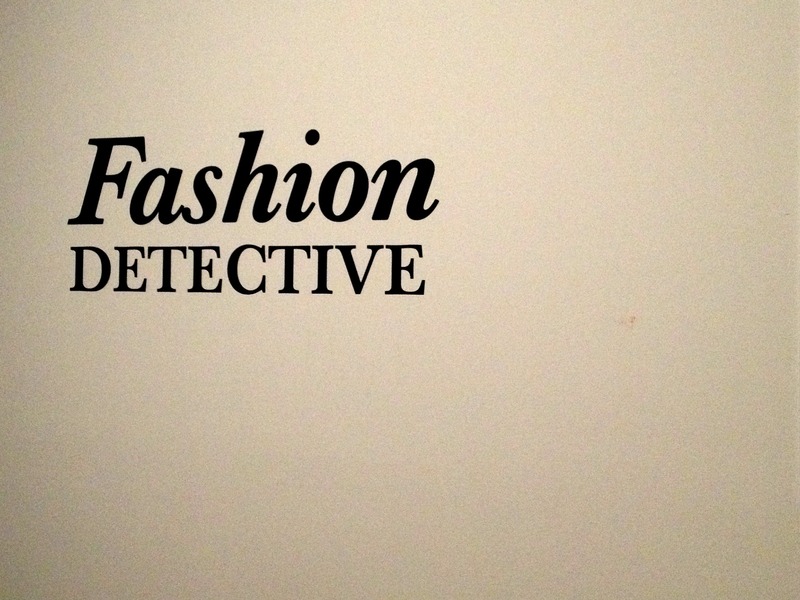 I went to see the Fashion Detective exhibition which takes a look at a selection of miscellaneous garments that have been unattributed at the gallery and puts a story behind them. I love this idea; they’ve got some of Australia’s best crime writers speculating on the evidence and using their talents, they’ve created short stories based upon the pieces, showing that fashion can be seen from so many different angles. 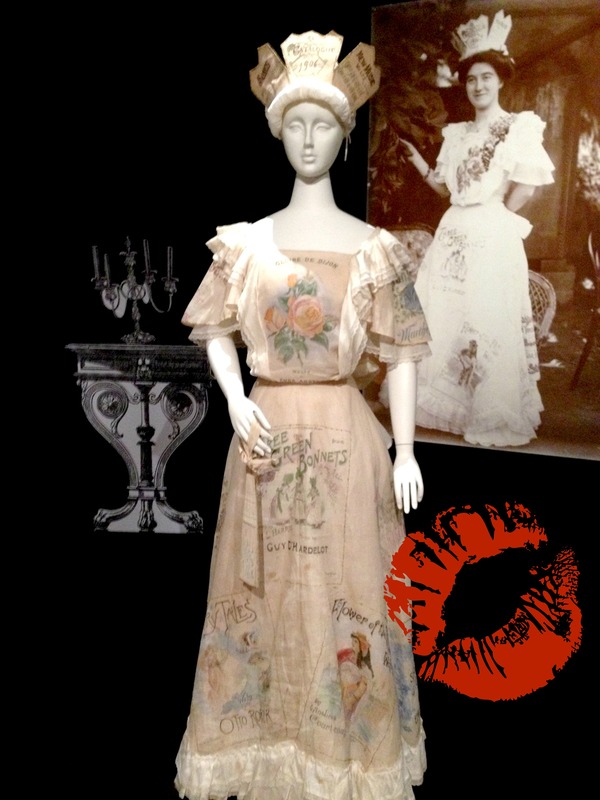 The exhibition features approximately 60 beautiful garments and accessories all with a fabulous tale behind them. 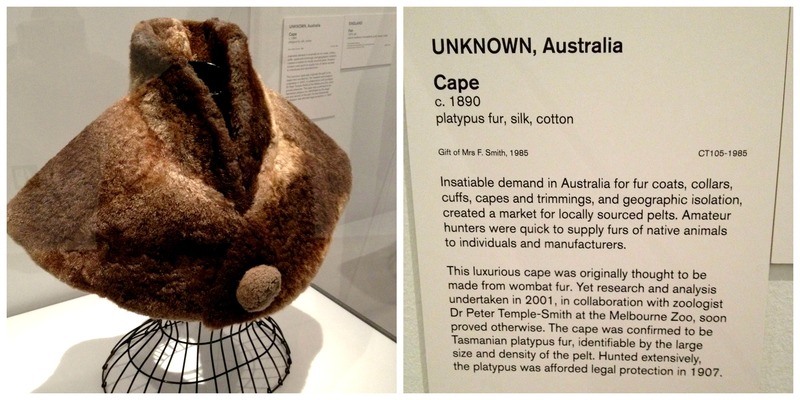 I don’t know which one is better, a wombat or a platypus fur cape? I’ll pass on both! 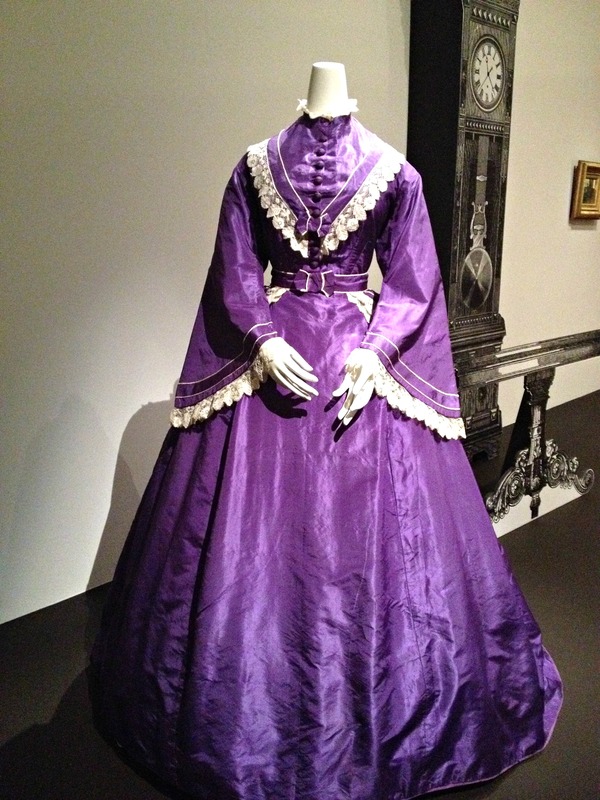 Lovely examples of the 19th Century dresses that were on display. 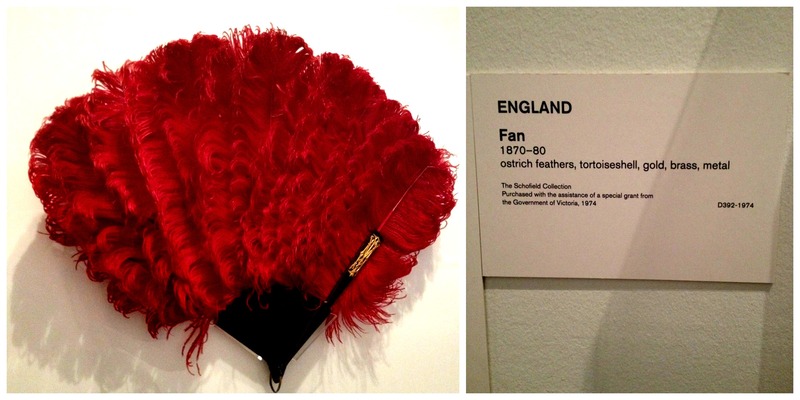 These were all thought to have originated from London. 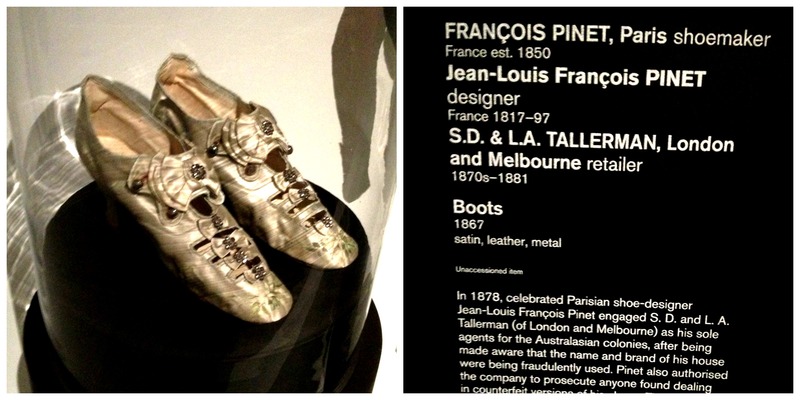 These satin and leather boots were my favourite piece from the collection. Fashion Detective runs until Sunday 31 August, 10am–5pm (excluding Mondays) and the best part about it is that it’s free!